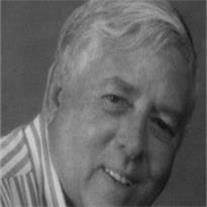 Clarence Wesley Burnes, 78, surrounded by his loving family and embraced in love, passed away peacefully on November 7, 2012. Clarence was born in Horatio, Arkansas to James Eli Burnes and Sally Belle Johnson on April 28, 1934. He was married to his life long love, Patsy Ruth Redmond on May 18, 1956 and had 4 wonderful children to carry on his legacy, Wesley, David, Gail and Jeff. His memories and traditions will also live on through his 10 grandchildren, and 14 great-grandchildren. Clarence was a loving husband, a devoted father, a treasured grandfather and cherished great-grandfather and his witty humor, unconditional love and generosity will be dearly missed by all. Condolences may be sent to Mi Casa Nursing Center, 330 S. Pinnule Cir., Mesa, AZ 85206, C/O Patsy Burnes.